A seafood restaurant in a southern seaside resort had its business license revoked for overcharging customers during the Spring Festival holidays, the local quality watchdog said. Owners of the Fulin seafood restaurant in Sanya, Hainan Province, were banned from operating restaurants for the next three years and were dealt the maximum fine, the Xinhua news agency reported yesterday. 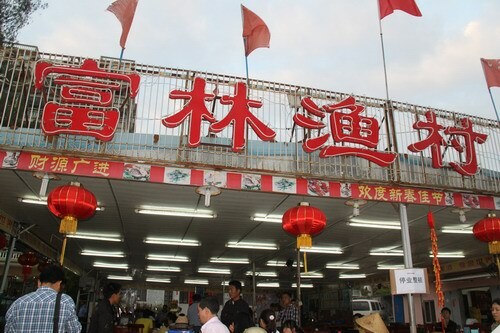 The restaurant created fancy names for normal seafood, deceived diners into thinking they were precious products and charged them excessively, said the Sanya Industry and Commerce Administration. The oversight body also said it will launch an investigation into every seafood restaurant in the city to ensure a regulated market. This came after an apology from the Party chief of Sanya, Jiang Sixian. Jiang made the public apology on February 1 after tens of thousands of netizens vented their anger regarding overcharging during the Spring Festival. "Local authorities will carry out a zero-tolerance policy towards overcharging to make Sanya a high-end resort," Jiang said. A microblogger named Luo Di triggered the online discussion by revealing a miserable dining experience endured by his friend during the holiday. Luo revealed that a simple three-course meal cost his friend surnamed Gao 4,000 yuan (US$634) at Fulin on January 25. "My friend told me that a man sitting with him only inquired about the price of a fish without ordering it. But the restaurant owner immediately cooked the fish and charged him 1,160 yuan per kilogram," Luo wrote on Weibo.com. His post was forwarded more than 40,000 times before he deleted it on Sunday. The Fulin seafood restaurant denied the criticism, saying its pricing practice was perfect, China Central Television reported. But when its crimes were exposed, Fulin went silent. Hainan is becoming many Chinese people’s first choice to spend their holiday for its exotic island views and tropical climate. More than a million tourists were estimated to have swarmed to the province, pouring 4.3 billion yuan into the island during the week-long Spring Festival holiday this year from January 22, Hainan tourism officials said. But Hainan, especially Sanya, was also slammed for soaring prices and scammers who allegedly fleeced island visitors. Wu Kunxiong, Hainan’s deputy tourism director, confirmed this and told Xinhua the problem could be attributed to "inadequate facilities."